All the stats and milestones that were created during the first week of IPL 2018. 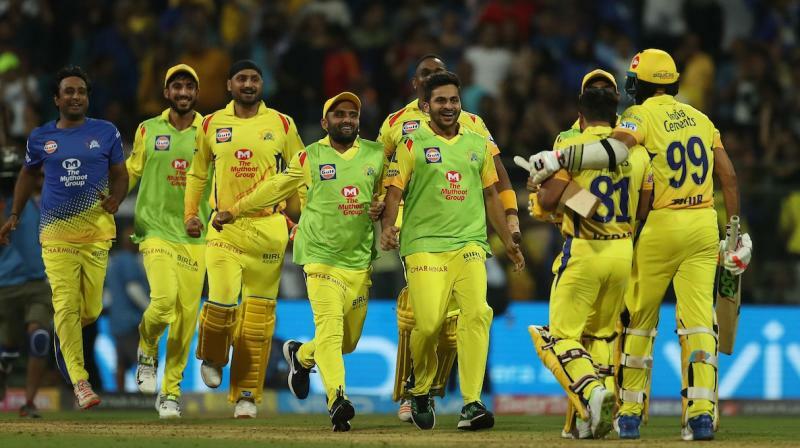 The 11th season of Indian Premier League commenced on Saturday, April 7 at the Wankhede Stadium, Mumbai; where defending champions Mumbai Indians took on the returning Chennai Super Kings. And now IPL 2018 completed its first week and during this week several records have been made and broken. - Evin Lewis became the 500th player to feature in the IPL. - Mayank Markande's bowling figures of 3/23 on debut was the second best bowling figures for MI in the IPL after Lasith Malinga's 3/15 against CSK in Cape Town in 2009. - Gautam Gambhir equaled David Warner's record of most fifties (36) in the IPL and Gambhir also holds the record of most fifties without scoring an IPL hundred. - KL Rahul scored fastest ever IPL fifty off just 14 balls against Delhi Daredevils. - At the age of 17 years and 11 days, Afghanistan's spinner Mujeeb Ur Rahman became the youngest player to make debut in the IPL. - R Ashwin is the first player to play more than hundred (111) games before making his captaincy debut in the IPL. - Nitish Rana became the 3rd player to dismiss both Virat Kohli and AB de Villiers on consecutive balls in an over in the IPL after Jacques Kallis (in 2012) and Thisara Perera (in 2016). - Brendon McCullum became the second player to score 9000 runs in T20 cricket after Chris Gayle. - Virat Kohli became the first player to appear in 150 IPL games for a single team. 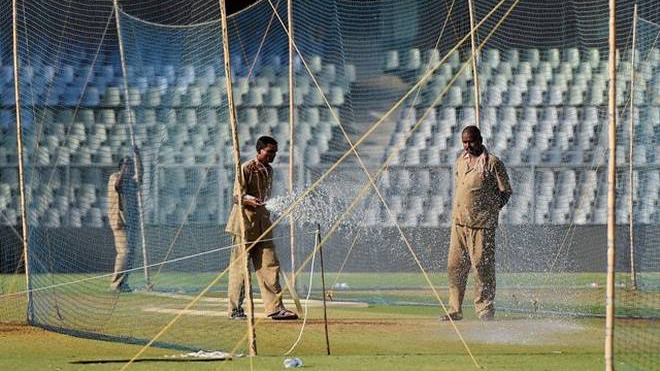 - Rajiv Gandhi International Stadium, Hyderabad is the 5th ground to host 50 IPL games after Wankhede Stadium (Mumbai), M Chinnaswamy Stadium (Bangalore), Eden Gardens (Kolkata) and Feroz Shah Kotla Stadium (Delhi). 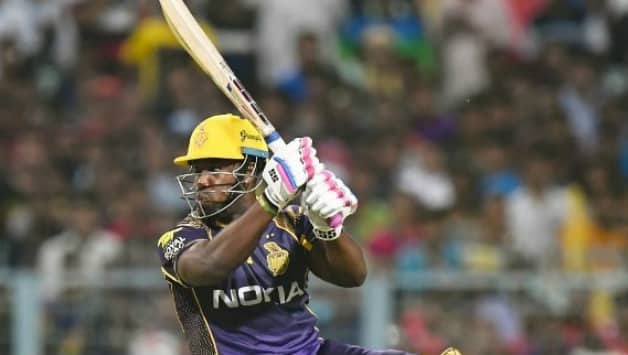 - Andre Russell became the 7th player to hit 10 or more sixes in an IPL game after Chris Gayle (thrice), Brendon McCullum, AB de Villiers, Sanath Jayasuriya, Murali Vijay and Adam Gilchrist. - 31 sixes hit in the match, the joint most in an IPL match. - Andre Russell's 88* is the highest ever score by a number 7 batsman in the IPL. - MS Dhoni became the 2nd player to score 3000 IPL runs for CSK after Suresh Raina (3717). - Rajasthan Royals won their 13th consecutive T20 match at the Sawai Mansingh Stadium, Jaipur and hasn't lost a match here since IPL 2012. - Gautam Gambhir became the 8th player to feature in 150 IPL games. - SRH's 1 wicket victory was 3rd 1 wicket victory of IPL history. KKR and CSK have won by 1 wicket each. 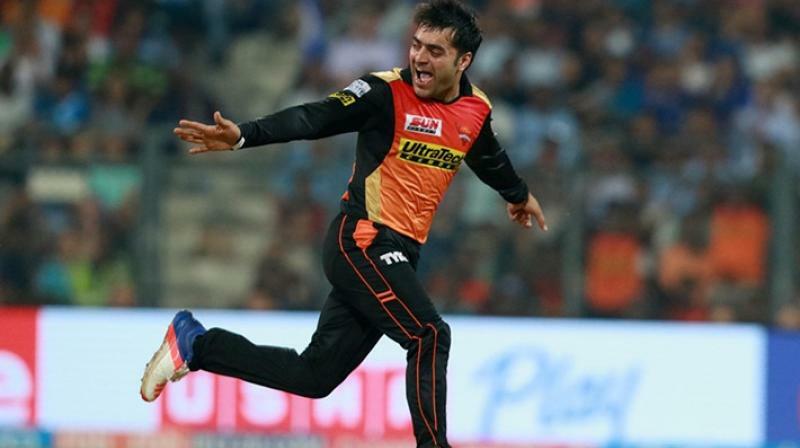 - Rashid Khan bowled 18 dot balls in his four overs spell which is joint most dot balls by a spinner in an IPL match. R Ashwin (twice) and Amit Mishra have bowled 18 dot balls in their 4 overs spells in IPL as well. 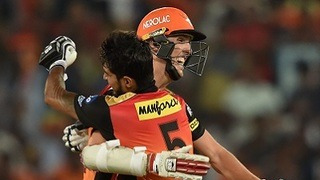 - At the age of 20 years and 152 days, Mayank Markande became the third youngest bowler to take 4 wickets haul in an IPL match after Pawan Negi (19 years, 116 days) and Mitchell Marsh (19 years, 202 days). - Umesh Yadav (3/23) became the first bowler to take six three-wicket hauls against a single team in the IPL. - AB de Villiers scored his 26th 50+ score in the IPL which is joint second most by an overseas player in the IPL, after Chris Gayle who also has 26 50+ scores and David Warner (39).